Scotland has a wide range of excellent lawyers/solicitors to help both pursuers and defenders in cases relating to personal injury. 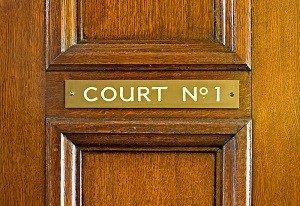 Which law firm you eventually instruct, should you have suffered a personal injury or be defending a case, will depend on your needs as a client (either as the pursuer/claimant or the defendant). Many have excellent reputations, but it is worth researching in some detail the specialisms and experience of individual firms before choosing the one right for you. The are many to choose from, and it is important to have the very best if you are involved in a personal injury case, from either side. Note you can also read our top 7 tips to getting you maximum compensation for your personal injury claim in Scotland towards the bottom of this article. 1: What are my options if I am the pursuer? If you are pursuing a personal injury claim, there are some superb lawyers in Scotland able to help and represent you. There are a wide range of lawyers with different specialisms, but all have excellent reputations within the personal injury field. Digby Brown LLP is possibly the market leader in respect of personal injury pursuer work, and has nine departments across six Scottish offices. Digby Brown has been referred to as ‘simply the best in every respect’, and has 19 partners across all of its offices. Another leading firm is Balfour+Mason LLP, and their head of department, Fred Tyler is a renowned lawyer with over 40 years’ experience. The firm has a particularly strong reputation in respect of complex cases, including very serious road accidents. With David Armstrong as the head of department, Lindsays is considered an excellent firm, and generally deals with high value personal injury claims relating to industrial diseases and road traffic accidents. Two of the UK’s largest PI firms, Thompsons and Irwin Mitchell, also have brilliant reputations within the personal injury field. There are a number of other renowned firms, such as Lawford Kidd, Bonnar & Co, Miller Samuel Hill Brown, Austin Lafferty, Harper Macleod, Complete Clarity and various others, so it is important to consider your options carefully and it’s important to note that not all of these PI firms will offer you the same deal for any injury claim you make – even though they might offer no win no fee and say you’ll keep all or most of your compensation, some may take a much bigger fee from you in some shape or form. 2: What are my options if I am the defender? There are a number of excellent law firms in Scotland if you are defending a personal injury claim. BLM (formerly HBM Sayers in Scotland) represents many insurer clients, including Aviva, as well as multinationals such as Asda and BT. They are specialists in insurance litigation. Brodies LLP are renowned for defending and resolving claims, and count Scottish Power, Novae and Endsleigh amongst their clients. Another well known Scottish firm is Clyde & Co (formerly Simpson & Marwick), and it has been said that its reputation ‘enables it to enlist the best possible graduates’, meaning the firm often attracts the best legal talent there is. Acting for the UK Government, as well as central government in Scotland, Anderson Strathern are experts in defender personal injury services, and also act on behalf of Co-operative Insurance. Want to get maximum compensation from your personal injury claim in Scotland? Want to know how to avoid the main pitfalls? Our short free Scottish personal injury claims advice guide below gives you 7 very quick top tips. Our editor (Gavin Ward) was formerly a lawyer in Scotland and has experience in working with other Scottish accident claims lawyers pursuing and defending personal injury cases. Hope this is of use to you. If you need any impartial/independent help or advice in pursuing your personal injury claim in Scotland get in touch here. Different time limits apply depending on the type of personal injury you have sustained and for which you want compensation. The general time limit for you to bring a claim in Scotland for most types of injuries resulting from negligence is 3 years from the date of your accident/injury. This period of time is known legally as the ‘limitation period’ or ‘triennium’. So generally you should have your lawyer raise as action in the Scottish courts within 3 years of your accident. But this is not always the case. Take for instance mesothelioma cases – the time period starts from the date on which you were aware of, or were reasonably aware of, your illness. See here at p30 for more info; note the Scottish courts were considering raising the default period to 5 years, but this has as at February 2015 not yet happened. Ultimately, you should get Scottish personal injury law advice straight away regarding timescales for when you can claim. Then you can get your case prepared thoroughly with plenty of time. Don’t leave it til the last minute. This really goes without saying, but there are still many consumers who think it’s fine to choose a standard high street practitioner and assume they’ll be able to get the job done as well as anyone else. What if your case is more complex than it may seem to you? What if your high street practitioner will just be referring you to another lawyer? Many will probably be perfectly competent. But think of it this way – if you need complex surgery demanding a fast result or outcome, would you choose your GP to do it? Probably not – you’d hire the specialist. There are many specialist Scottish personal injury lawyers out there. Check the Law Society of Scotland’s list of accredited specialists here or check mentions of this from the law firm’s website. So, do your research first. 3. Choose a Scottish-based law firm/solicitor from one of Scotland’s biggest cities (Glasgow, Edinburgh, Aberdeen, Dundee, Inverness etc). 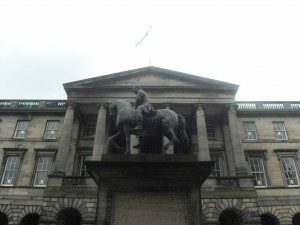 This might seem like a no-brainer, but to sue someone or some company in Scotland for an accident or injury sustained in Scotland, you need to raise your action in a Scottish court (most likely Court of Session for any significant actions, otherwise relevant Sheriff Court) and the law used in court (the ‘applicable law’/’governing law’) will most likely be Scots Law. It probably won’t be English Law (unless your injury was inflicted there for instance). So choose a Scottish-based law firm/solicitor NOT an English law firm or solicitor and NOT an English-based claims management company dressed up to appear on the Internet like they have offices in Scotland. How can you tell them apart? Just do your research. See the image to the side of this paragraph? This is the Court of Session of Scotland taken from our camera. It looks nothing like the Old Bailey in London! Those in the biggest cities (Glasgow, Edinburgh, Aberdeen, Dundee, Inverness etc) have the most experience and will probably deliver you the best, efficient service (although those more local rural towns will also usually provide a good service). Why? Because their processes will be streamlined, they’ll be using the best technology, they’ll have done it hundreds or thousands of times and will have the battle-scars to prove it. So choose wisely. Again this may seem like common sense, but you must attend your medical appointments. Your personal injury lawyer will most likely set you up with an doctor expert in the type of injury you have sustained and it will be for he/she to prepare an expert medical report on your injuries. Such a report could be crucial to the amount of compensation you get and indeed any missed appointments may be added on to your bill. It’s important to tell your doctor everything they should know. If there is some prior condition (eg illness or weakness) that you haven’t disclosed that is later unearthed during the claims process, not only will you and your lawyer(s) be embarrassed, it could also have a significant impact on the amount of damages you receive. This is why insurance companies ensure you’ve told them every existing condition you have before your contract is sealed. The level of compensation you get will often be significantly inflated if you aren’t able to work because of your injury (note this is in addition to any basic compensatory payment for your pain/suffering (‘solatium’)). So keep any employment records included wage slips from before and after your injury. This way it will make it easier for your solicitor to work out how much money you would otherwise have been due had you not suffered your injury. And it will make it easier in the negotiation process when it comes to determining how much you should receive. And note, it may not be your employer who pays the compensation: you may be suing someone or some business entirely independent of your own work (in which case it would be for them to pay for your lost earnings). Over 95% of personal injury actions in Scotland will settle out of court (see eg 1st para here). Settling at the right time is a skill acquired after many years of experience. It’s a bit like Deal or No Deal, where the banker makes you an offer (In Scotland for instance this would be the Defender making you an offer) and you have to decide whether or not to do the deal or continue until you think you can get a better settlement. The problem with settling for the max possible compensation amount is also much like the gameshow – you can’t really tell in advance what would happen had you not settled. The main thing to take away from this is that you should find a really experienced and dedicated specialist personal injury solicitor who knows what they’re doing; who has been there and done it hundreds if not thousands of times. Ask them on the phone how many clients they’ve won compensation for. They might tell you how much they claim each year. With the best firms it will be in the millions of pounds. Re-read points 2 and 3 above again – it’s that important. Above is a brief guide to the range of superb law firms specialising in various aspects of personal injury in Scotland (whether based in Glasgow, Edinburgh, Dundee, Aberdeen or elsewhere), but it is by no means exhaustive. If you need help or further advice, or would like to discuss options with respect to personal injury law firms in Scotland, please contact the site’s editor, Gavin Ward, using the contact form, or by email. Note we have also recently published a guide to some of the best personal injury attorneys in America here. While not relevant if making an injury claim in the UK, it can be interesting to see the approach taken by injury attorneys in the US.